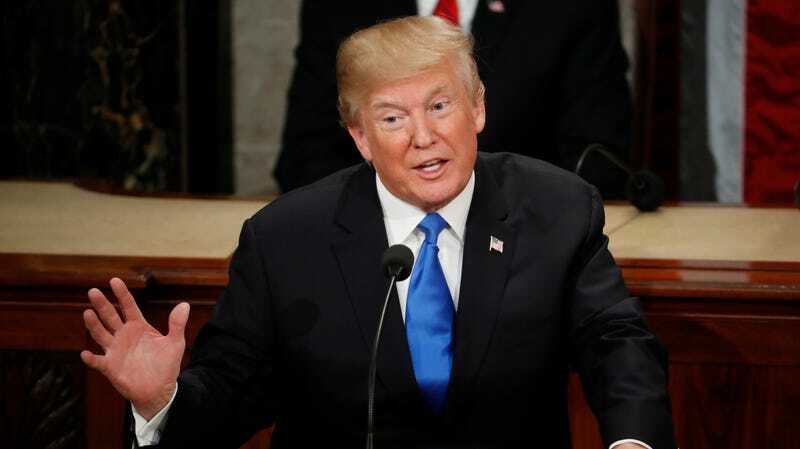 Donald Trump is expected to announce his commitment to ending the transmission of HIV by 2030 at his State of the Union speech on Tuesday, to be followed by the rollout of a plan to focus on 46 counties where about half of all cases in the country originate. This should go well, as Trump has indicated on multiple occasions that he does not know the difference between HIV and HPV. But Trump’s relationship with the HIV/AIDS community has been inconsistent, if not overtly hostile. In 2017, he abruptly fired what remained of his HIV/AIDS advisory council after six members resigned, and only swore in new members last week. Last summer, internal documents revealed that money was actually being siphoned away from a critical HIV/AIDS treatment program to pay for the costs of separating children from their parents at the U.S.-Mexico border. But Trump’s interest in HIV can be traced back to the beginning of his presidency, when he asked Bill Gates (twice) to explain the difference between HIV, a virus that can lead to AIDS, and HPV, a common STI contracted by nearly half of American adults. Trump made separate inquiries in December 2016 and March 2017, and “both times he wanted to know if there was a difference between HPV and HIV,” Gates said in a clip unearthed by MSNBC Chris Hayes last year. “I was able to explain that those are rarely confused with each other,” Gates said. So as you watch him bluster on about the scourge of HIV on Tuesday, remember that he almost definitely has no idea what he’s talking about.